If you aren’t already using it, chances are you have probably heard of the online communication platform known as Slack. Slack is a cloud-based software program that is used for project management, information sharing, individual and group communication, as well as synchronous and asynchronous collaboration. There are free and paid plans available; the main difference between the plans is the number of messages that are accessible (10,000 with the free plan) and how many third-party tools are supported (10 with the free plan). What began in 2013 as a mode for inter-office conversation between two business offices has quickly expanded to hundreds of workplaces worldwide as well as many classrooms. With the number of existing communication tools already available, you may be wondering how this one differs and why you might consider using it. Slack is organized into ‘channels’ which are like chat rooms dedicated to specific conversations. Messages posted to a channel can be seen by everyone who subscribes to that channel or directed to specific individuals and kept private. Unlike traditional chat rooms which may be hard to follow, Slack supports threading, which allows participants to respond directly to posts within a channel without interrupting the overall flow of conversation. Slack integrates with several third-party services, such as Box, Google Drive, and Dropbox, as well as developer platforms such as GitHub and Bitbucket. It also has a powerful search feature, making it easy to find files and specific topics in cross-channel conversations. Slack was designed with efficiency in mind, therefore communication tends to be succinct and streamlined. Generally speaking, participants write short, direct messages closer in style to a messaging app without the ‘formality’ often used when composing an email. While this lack of formality may take some getting used to, many students are already accustomed to this style which they frequently use in various social media apps and when texting. Also unlike email, Slack follows more of an ‘opt-in’ model, where users can join in on conversations they feel are relevant and ignore those that are not. Settings are available to determine how often users are notified of messages being posted. Share information – Create channels for posting announcements, sharing articles, links, relevant content, etc. Students can immediately ask questions or comment on the post which could lead to a dialogue around a specific topic. This may help to engage students in the topic as well as build a sense of community in the class. Manage group projects – Each group can have its own channel to collaborate, share files, and communicate with each other. Instructors can post resources for groups in their specific channels and periodically check in and offer assistance as needed. Crowdsource class notes – Create a channel for students to contribute main ideas from notes taken in class. This could eventually be used to create a study guide. Poll the class – Slack includes a free polling tool which can be used to survey students for a variety of reasons in real-time, during class, or asynchronously, outside of class. Polls are optionally anonymous. Include experts ‘in the field’ – Invite subject matter experts and/or those working ‘in the field’ to Slack so they can participate in conversations and answer student questions. JHU instructor Jennifer Bernstein invites former students to stay involved in her Slack channels so that current students can benefit from the perspective of someone who has recently graduated and is now working in the medical profession. Monitor student engagement – Slack provides an optional weekly summary of usage statistics, including charts and graphs showing how many messages were posted, files uploaded, etc. If you decide to use Slack in a classroom environment, there are some considerations to keep in mind. For example, there is no FERPA compliance in Slack. 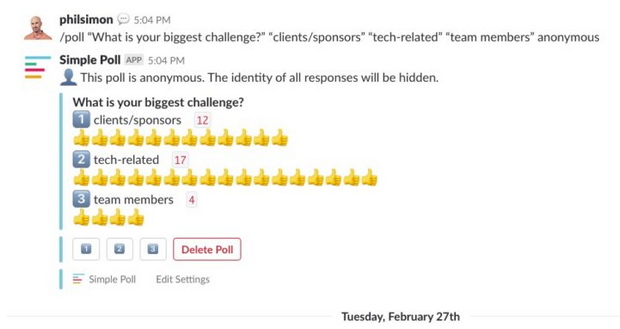 Sensitive data such as grades and personal information should not be shared in Slack spaces. Instructors should be clear with students about what types of conversations are appropriate for Slack, and what might be better served in an email or face-to-face. Another thing to consider is the capability available to members (students) that are invited to a Slack space. Instructors may be surprised with the permissions and features available to students (i.e. the ability to create their own channels). Therefore, it is recommended that instructors familiarize themselves with the established permissions of Slack before getting started. Finally, it may be worth noting that Slack is not a course management system (Blackboard, Canvas, etc. ), and does not contain many of the features available in those systems, such as a gradebook, assignment creator, rubrics tool, etc. It may, however, provide an interesting, alternative means of communication in relevant situations as determined by the instructor. On Thursday, February 28, the Center for Educational Resources (CER) hosted the third Lunch and Learn for the 2018-2019 academic year. Rebecca Kelly, Associate Teaching Professor, Earth and Planetary Sciences and Director of the Environmental Science and Studies Program, and Pedro Julian, Associate Professor, Electrical and Computer Engineering, presented on Innovative Grading Strategies. Rebecca Kelly began the presentation by discussing some of the problems in traditional grading. There is a general lack of clarity in what grades actually mean and how differently they are viewed by students and faculty. Faculty use grades to elicit certain behaviors from students, but it doesn’t necessarily mean that they are learning. Kelly noted that students, especially those at JHU, tend to be focused on the grade itself, aiming for a specific number and not the learning; this often results in high levels of student anxiety, something she sees often. She explained how students here don’t get many chances to fail and not have their grades negatively affected. Therefore, every assessment is a source of stress because it counts toward their grade. There are too few opportunities for students to learn from their mistakes. Kelly mentioned additional challenges that faculty face when grading: it is often time consuming, energy draining, and stressful, especially when haggling over points, for example. She makes an effort to provide clearly stated learning goals and rubrics for each assignment, which do help, but are not always enough to ease the burden. Kelly introduced the audience to specifications grading and described how she’s recently started using this approach in Introduction to Geographic Information Systems (GIS). With specifications grading (also described in a recent CER Innovative Instructor article), students are graded pass/fail or satisfactory/unsatisfactory on individual assessments that align directly with learning goals. 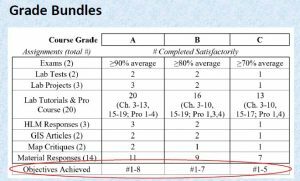 Course grades are determined by the number of learning goals mastered. This is measured by the number of assessments passed. For example, passing 20 or more assignments out of 23 would equate to an A; 17-19 assignments would equate to a B. Kelly stresses the importance of maintaining high standards; for rigor, the threshold for passing should be a B or better. In Kelly’s class, students have multiple opportunities to achieve their goals. Each student receives three tokens that he/she can use to re-do an assignment that doesn’t pass, or select a different assignment altogether from the ‘bundle’ of assignments available. Kelly noted the tendency of students to ‘hoard’ their tokens and how it actually works out favorably; instead of risking having to use a token, students often seek out her feedback before turning anything in. Introduction to GIS has both a lecture and a lab component. The lab requires students to use software to create maps that are then used to perform data analysis. The very specific nature of the assignments in this class lend themselves well to the specifications grading approach. Kelly noted that students are somewhat anxious about this approach at first, but settle into it once they fully understand. In addition to clearly laying out expectations, Kelly lists the learning goals of the course and how they align with each assignment (see slides). 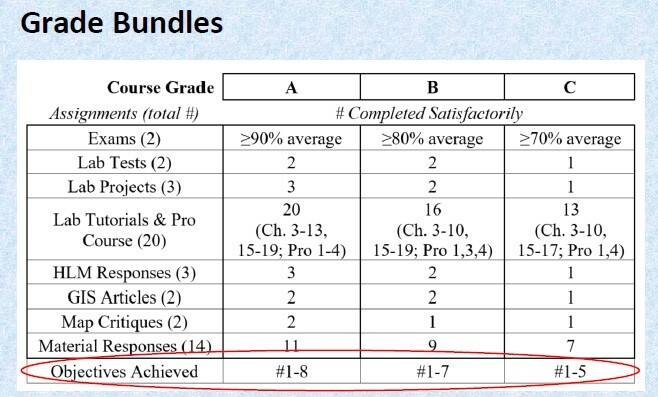 She also provides students with a table showing the bundles of assignments required to reach final course grades. Additionally, she distributes a pacing guide to help students avoid procrastination. The results that Kelly has experienced with specifications grading have been positive. Students generally like it because the expectations are very clear and initial failure does not count against them; there are multiple opportunities to succeed. Grading is quick and easy because of the pass/fail system; if something doesn’t meet the requirements, it is simply marked unsatisfactory. The quality of student work is high because there is no credit for sloppy work. Kelly acknowledged that specifications grading is not ideal for all courses, but feels the grade earned in her GIS course is a true representation of the student’s skill level in GIS. Pedro Julian described a different grading practice that he is using, something he calls the “extra grade approach.” He currently uses this approach in Digital Systems Fundamentals, a hands-on design course for freshmen. In this course, Julian uses a typical grading scale: 20% for the midterm, 40% for labs and homework, and 40% for the final project. However, he augments the scale by offering another 20% if students agree to put in extra work throughout the semester. How much extra work? Students must commit to working collaboratively with instructors (and other students seeking the 20% credit) for one hour or more per week on an additional project. This year, the project is to build a vending machine. Past projects include building an elevator out of Legos and building a robot that followed a specific path on the floor. Julian described how motivated students are to complete the extra project once they commit to putting in the time. Students quickly realize that they learn all sorts of skills they would not have otherwise learned and are very proud and engaged. Student participation in the “extra grade” option has grown steadily since Julian started using this approach three years ago. The first year there were 5-10 students who signed up, and this year there are 30. Julian showed histograms (see slides) of student grades from past semesters in his class and how the extra grade has helped push overall grades higher. The histograms also show that it’s not just students who may be struggling with the class who are choosing to participate in the extra grade, but “A students” as well. Similar to Rebecca Kelly’s experience, Julian expressed how grade-focused JHU students are, much to his dismay. In an attempt to take some of the pressure off, he described how he repeatedly tells his students that if they work hard, they will get a good grade; he even includes this phrase in his syllabus. Julian explained how he truly wants students to concentrate more on the learning and not on the grade, which is his motivation behind the “extra grade” approach. An interesting discussion with several questions from the audience followed the presentations. Below are some of the questions asked and responses given by Kelly and Julian, as well as audience members. Q: (for Julian) Some students may not have the time or flexibility in their schedule to take part in an extra project. Do you have suggestions for them? Did you consider this when creating the “extra grade” option? Julian responded that in his experience, freshmen seem to be available. Many of them make time to come in on the weekends. He wants students to know he’s giving them an “escape route,” a way for them to make up their grade, and they seem to find the time to make it happen. Julian has never had a student come to him saying he/she cannot participate because of scheduling conflicts. Q: How has grade distribution changed? Kelly remarked how motivated the students are and therefore she had no Cs, very few Bs, and the rest As this past semester. She expressed how important it is to make sure that the A is attainable for students. She feels confident that she’s had enough experience to know what counts as an A. Every student can do it, the question is, will they? Q: (for Kelly) Would there ever be a scenario where students would do the last half of the goals and skip the first half? Kelly responded that she has never seen anyone jump over everything and that it makes more sense to work sequentially. Q: (for Kelly) Is there detailed feedback provided when students fail an assignment? Kelly commented that it depends on the assignment, but if students don’t follow the directions, that’s the feedback – to follow the directions. If it’s a project, Kelly will meet with the student, go over the assignment, and provide immediate feedback. She noted that she finds oral feedback much more effective than written feedback. Q: (for Kelly) Could specs grading be applied in online classes? Kelly responded that she thinks this approach could definitely be used in online classes, as long as feedback could be provided effectively. She also stressed the need for rubrics, examples, and clear goals. Q: Has anyone tried measuring individual learning gains within a class? What skills are students coming in with? Are we actually measuring gain? Kelly commented that specifications grading works as a compliment to competency based grading, which focuses on measuring gains in very specific skills. Julian commented that this issue comes up in his class, students coming in with varying degrees of experience. He stated that this is another reason to offer the extra credit, to keep things interesting for those that want to move at a faster pace. The discussion continued among presenters and audience members about what students are learning in a class vs. what they are bringing in with them. A point was raised that if students already know the material in a class, should they even be there? Another comment was made regarding if it is even an instructor’s place to determine what students already know. Additional comments were made about what grades mean and concerns about grades being used for different things, i.e. employers looking for specific skills, instructors writing recommendation letters, etc. Q: Could these methods be used in group work? Kelly responded that with specifications grading, you would have to find a way to evaluate the group. It might be possible to still score on an individual basis within the group, but it would depend on the goals. She mentioned peer evaluations as a possibility. Julian stated that all grades are based on individual work in his class. He does use groups in a senior level class that he teaches, but students are still graded individually. The event concluded with a discussion about how using “curve balls” – intentionally difficult questions designed to catch students off-guard – on exams can lead to challenging grading situations. For example, to ultimately solve a problem, students would need to first select the correct tools before beginning the solution process. Some faculty were in favor of including this type of question on exams, while others were not, noting the already high levels of exam stress. A suggestion was made to give students partial credit for the process even if they don’t end up with the correct answer. Another suggestion was to give an oral exam in order to hear the student’s thought process as he/she worked through the challenge. This would be another way for students to receive partial credit for their ideas and effort, even if the final answer was incorrect. Dr. Culhane is Professor and Chair of the Department of Pharmaceutical Sciences at Notre Dame of Maryland University School of Pharmacy. If you are like me, much of your time is spent ensuring that the classroom learning experience you provide for your students is stimulating, interactive and impactful. But how invested are we in ensuring that what students do outside of class is productive? Based on my anecdotal experience and several studies1,2,3 looking at study strategies employed by students, the answer to this question is not nearly enough! Much like professional athletes or musicians, our students are asked to perform at a high level, mastering advanced, information dense subjects; yet unlike these specialists who have spent years honing the skills of their craft, very few students have had any formal training in the basic skills necessary to learn successfully. It should be no surprise to us that when left to their own devices, our students tend to mismanage their time, fall victim to distractions and gravitate towards low impact or inefficient learning strategies. Even if students are familiar with high impact strategies and how to use them, it is easy for them to default back to bad habits, especially when they are overloaded with work and pressed for time. Several years ago, I began to seriously think about and research this issue in hopes of developing an evidence-based process that would be easy for students to learn and implement. Out of this work I developed a strategy focused on the development of metacognition – thinking about how one learns. 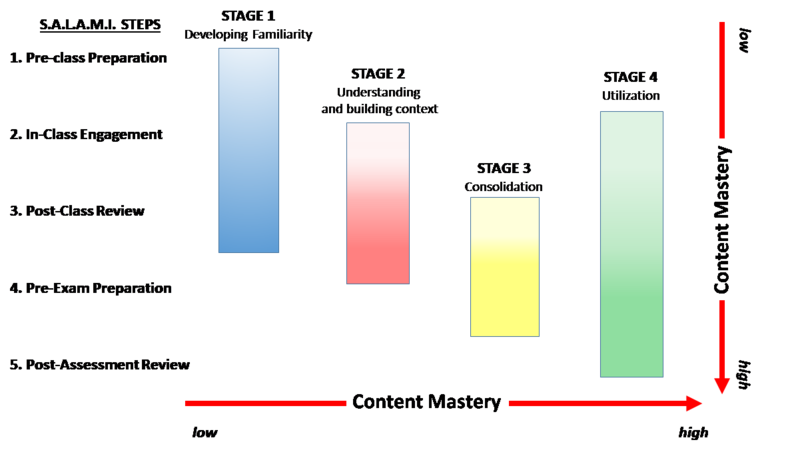 I based it on extensively studied, high impact learning techniques to include: distributed learning, self-testing, interleaving and application practice.4 I call this strategy the S.A.L.A.M.I. method. This method is named after a metaphor used by one of my graduate school professors. He argued that learning is like eating a salami. If you eat the salami one slice at a time, rather than trying to eat the whole salami in one setting, the salami is more likely to stay with you. Many readers will see that this analogy represents the effectiveness of distributed learning over the “binge and purge” method which many of our students gravitate towards. When teaching the S.A.L.A.M.I. method, I explain how each of the five steps correspond to different “stages” or components of learning (see figure 1). Through mastery of skills associated with each of the five S.A.L.A.M.I. steps, students can more efficiently and effectively master a subject area. Despite its simplicity, this model provides a starting point to help students understand that learning is a process that takes time, requires the use of different learning strategies and can benefit from the development of metacognitive awareness. Specific techniques designed to enhance metacognition and learning are employed during each of the five steps, helping students use their time effectively, maximize learning and achieve subject mastery. Describing all the tools and techniques recommended for each of the five steps would be beyond the scope of this post, but I would like to share two that I have found useful for students to evaluate the effectiveness of their learning and make data driven changes to their study strategies. Let us return to our example of professional athletes and musicians: these individuals maintain high levels of performance by consistently monitoring and evaluating the efficacy of their practice as well as reviewing their performance after games or concerts. If we translate this example to an academic environment, the practice or rehearsal becomes student learning (in and out of class) and the game or concert acts as the assessment. We often evaluate students’ formative or summative “performances” with grades, written or verbal feedback. But what type of feedback do we give them to help improve the efficacy of their preparation for those “performances?” If we do give them feedback about how to improve their learning process, is it evidenced-based and directed at improving metacognition, or do we simply tell them they need to study harder or join a study group in order to improve their learning? I would contend that we could do more to help students evaluate their approach to learning outside of class and examination performance. This is where a pre-exam checklist and exam wrapper can be helpful. The inspiration for the pre-exam checklist came from the pre-flight checklist a pilot friend of mine uses to ensure that he and his private aircraft are ready for flight. I decided to develop a similar tool for my students that would allow them to monitor and evaluate the effectiveness of their preparation for upcoming assessments. The form is based on a series of reflective questions that help students think about the effectiveness of their daily study habits. If used consistently over time and evaluated by a knowledgeable faculty or learning specialist, this tool can help students be more successful in making sustainable, data driven changes in their approach to learning. Another tool that I use is called an exam wrapper. There are many examples of exam wrappers online, however, I developed my own wrapper based on the different stages or components of learning shown in figure 1. The S.A.L.A.M.I. wrapper is divided into five different sections. 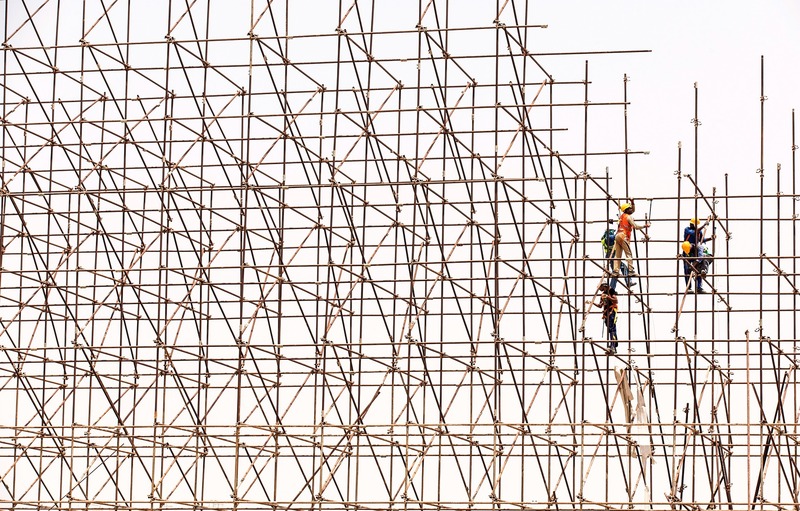 Three of the five sections focus on the following stages or components of learning: understanding and building context, consolidation, and application. The remaining two sections focus on exam skills and environmental factors that may impact performance. Under each of the five sections is a series of statements that describe possible reasons for missing an exam question. The student analyzes each missed question and matches one or more of the statements on the wrapper to each one. Based on the results of the analysis, the student can identify the component of learning, exam skill or environmental factors that they are struggling with and begin to take corrective action. Both the pre-exam checklist and exam wrapper can be used to help “diagnose” the learning issue that academically struggling students may be experiencing. Two of the most common issues that I diagnose involve illusions of learning5. Students who suffer from the ‘illusion of knowledge’ often mistake their understanding of a topic for mastery. These students anticipate getting a high grade on an assessment but end up frustrated and confused when receiving a much lower grade than expected. Information from the S.A.L.A.M.I. wrapper can help them realize that although they may have understood the concept being taught, they could not effectively recall important facts and apply them. Students who suffer from the ‘illusion of productivity’ often spend extensive time preparing for an exam, however, the techniques they use are extremely passive. Commonly used passive study strategies include: highlighting, recopying and re-reading notes, or listening to audio/video recordings of lectures in their entirety. The pre-exam checklist can help students identify the learning strategies they are using and reflect on their effectiveness. When I encounter students favoring the use of passive learning strategies I use the analogy of trying to dig a six-foot deep hole with a spoon: “You will certainly work hard for hours moving dirt with a spoon, but you would be a lot more productive if you learned how to use a shovel.” The shovel in this case represents adopting strategies such as distributed practice, self-testing, interleaving and application practice. Rather than relying on anecdotal advice from classmates or old habits that are no longer working, students should seek help early, consistently practice effective and efficient study strategies, and remember that digesting information (e.g. a S.A.L.A.M.I.) in small doses is always more effective at ‘keeping the information down’ so it may be applied and utilized successfully later. Kornell, N., Bjork, R. The promise and perils of self-regulated study. Psychon Bull Rev. 2007;14 (2): 219-224. Karpicke, J. D., Butler, A. C., & Roediger, H. L. Metacognitive strategies in student learning: Do students practice retrieval when they study on their own? Memory. 2009; 17: 471– 479. Persky, A.M., Hudson, S. L. A snapshot of student study strategies across a professional pharmacy curriculum: Are students using evidence-based practice? Curr Pharm Teach Learn. 2016; 8: 141-147. Dunlosky, J., Rawson, K.A., Marsh, E.J., Nathan, M.J., Willingham, D.T. Improving Students’ Learning With Effective Learning Techniques: Promising Directions From Cognitive and Educational Psychology. Psychol Sci Publ Int. 2013; 14 (1): 4-58. Koriat, A., & Bjork, R. A. Illusions of competence during study can be remedied by manipulations that enhance learners’ sensitivity to retrieval conditions at test. Memory & Cognition. 2006; 34: 959-972. After 31 years at Johns Hopkins University, 11 in the Center for Educational Resources, six years and 198 posts on The Innovative Instructor, I am retiring. The good news is that my colleague, Amy Brusini, will be taking on the mantle, not only as the new editor of this blog, but as the Senior Instructional Designer in the CER. Amy has been an Instructional Technology Specialist in the CER for 12 years. She has a BS in Music Education from Towson University and a MS in Education from Johns Hopkins University. She is currently the CER’s Blackboard expert, providing instruction and consultations to faculty for course management, instructional design, and educational technology. The Innovative Instructor has been a labor of love for me. I am leaving it in good hands. Happy Trails! On Wednesday, December 12, the Center for Educational Resources (CER) hosted the second Lunch and Learn for the 2018-2019 academic year. Shawntay Stocks, Assistant Director of Engaged Scholarship, Center for Social Concern; and Dora Malech, Assistant Professor, Writing Seminars; presented on Community-based Learning. Shawntay Stocks opened with a presentation on community-based learning (CBL) at Johns Hopkins speaking about how her organization—the Center for Social Concern (CSC)—can assist faculty who wish to use the CBL pedagogical model in their courses (see slides here). The Center for Social Concern is the part of the Homewood Student Affairs division of Johns Hopkins University that focuses on volunteerism and community engagement; Community-based Learning is just one of their programs. Stocks described CBL as “…a pedagogical model that connects classroom-based work with meaningful community involvement and exchange. Within the context of equitable partnership, community organizations and students mutually benefit from the CBL experience both by meeting course objectives and addressing community-identified goals. Students may engage with groups including, but not limited to: nonprofits, government agencies, grassroots collectives, and other educational institutions.” She noted that collaboration is the key for faculty, students, and community groups in pursuing mutual goals and course objectives, and that faculty must provide adequate preparation for their students to engage in CBL. The Center for Social Concern offers training for faculty, stipends to support faculty and community partners, and provides a TA for courses using CBL. At the core CBL is an equal partnership. The community partner may not have an advanced academic degree, but does have expertise, relationships, and contextual knowledge to bring to the table. Students benefit because CBL allows them to connect theory to real-life experience and to think critically, in our case, about urban life in Baltimore. They have the opportunity to work collaboratively and collectively and gain an understanding of diverse perspectives. The skills they develop will be transferable to other aspects of their lives. Students often transform their thinking about the city in positive ways as they gain knowledge through reflection. How can faculty ensure a successful CBL experience? Stocks emphasized the importance of “doing your homework” in terms of the community partner. You should think about these questions: What are the areas of commonality? How do your academic goals and their programmatic goals overlap? What are the expectations on both sides? What types of training will students need for a successful partnership? What are the logistics for partnership meetings? What commitment is being made (e.g., one semester, multiple semesters or academic years) and what is the potential for an ongoing partnership? What type of action are you planning for your CBL course—research, service, community building, advocacy, dialog? Critical for the student experience are reflection and assessment. Reflection deepens learning. Instructors must allow for students to express their discomfort, frustration, anxiety, anger as well as their positive, affirmative feelings. It’s important to have conversations around the emotional impact of their experiences and acknowledge difficulties. Assessment of learning can be done through journaling, discussion, essays, or presentations. At the end of the course there should be a project evaluation that includes the community partner. How did the partnership work? Were the learning goals accomplished? What would make the partnership work better? What were the pitfalls? How can these be navigated next time? CBL courses may be iterative processes and such evaluation will allow for continuous improvement of the experience for all involved. Dora Malech won the Crenson-Hertz Award for Community Based Learning and Participatory Research from the Johns Hopkins University Center for Social Concern in 2016. For the past several years she has worked with CSC, partnering with the Writers in Baltimore Schools (WBS) program to give her Johns Hopkins Writing Seminars students a CBL experience. The WBS website has more information on this partnership. Malech shared her experiences with developing and teaching her course, Poetry and Social Justice. Malech teaches undergraduate and graduate students now, but previously, at the University of Iowa, she directed a K-12 outreach program, which gave her an appreciation for community partnerships. In thinking about CBL, an important component for her is the concept of cultural humility, which comes from social work, a profession that emphasizes diversity and cultural competency. This idea of respecting the different experience of others and being open to learning from them works well for those interested in implementing CBL. When she was first considering CBL, she made a lot of phone calls to prospective partners. Malech recommends meeting face to face, having coffee, getting to know the person. She ended up partnering with Patrice Hutton from the Writers in Baltimore Schools program. The program starts with Middle School students who participate in “in-school, after-school, and summer programming that builds skills in literacy and communication while creating a community of support for young writers.” Malech’s Writing Seminars students worked with Baltimore City high school students who had been program participants. For the students on both sides, it is important to frame the relationship as a two-way transaction. The high school students have the experience of growing up in Baltimore City. They have cultural wealth and knowledge, and can articulate the community concerns. These students are college bound, but university culture is very much an abstraction for them. The JHU students may know nothing about inner-city life; the high school students give them the benefit of their urban experience, while the JHU students can help break down the mystery of what college life will be like for their high school partners. Malech is explicit with her students about the course requirements. Participation in events outside of class time is mandatory—these include field trips, interview assignments, literary readings. Students are expected to get to these events on their own. Purchase of a Maryland Transit Administration CharmCard is recommended, and students should become familiar with public transportation such as local buses, light rail and the MARC train to DC. Due to logistics (the high school students are coming from all across Baltimore City), and to the high school students’ expressed preference, the class meetings are held on the JHU campus. As Stocks emphasized, Malech also views critical reflection as a key component for CBL. She uses the DEAL Model for Critical Reflection from Patti Clayton’s web site PHC Ventures (Mission: To build capacity for and generate best practices around community-engaged teaching, learning, and scholarship. ), which Malech recommends as a great resource for those engaging in CBL. A discussion followed the presentations. Stocks gave examples of different models of CBL. In one case a STEM faculty member and his class developed course modules to augment STEM programming at Margaret Brent Middle School. She fielded questions about whether it would be possible for Engineering capstone courses to use CBL with identified partners, specifically whether Civil Engineering students might partner with city agencies to identify and resolve infrastructure issues. This is an intriguing possibility that may be pursued with faculty and deans in the Whiting School of Engineering. A question was posed about how to get departmental buy-in and funding for CBL courses. Malech noted that she had to prove that the concept was pedagogically sound and not overwhelming for the students. Strong positive feedback from the students showed that this was a high-impact teaching model. She said that she worked very hard to make the course a success. Getting positive publicity can be a strong incentive for department backing. Media attention acts as a “witness” to the process and as pressure for the administration to continue a project. She also presented at conferences and made the connection between strong writing and community engagement. Malech stated that culture change is an uphill battle where positive community feedback can really help. Being flexible and willing to scale up or down is important as well. The JHU President’s Office is advocating for community engagement, which may also be useful in getting departmental approval. Stocks reminded us that CSC has resources for faculty and can assist even if someone wants to start on a small scale and build up to greater community engagement. Mike Reese, who uses CBL in his Sociology courses (focused on Baltimore City) noted that CSC had helped him get a JHU van to transport students for field work assignments. Stocks referenced the CSC website page for faculty wanting to use CBL—there are resources listed. She invited interested faculty to come have a conversation and learn more. A question was asked about how a course could be restructured to include a CBL component. Faculty who have implemented CBL agreed that the activities must be the core course fabric. Traditional assignments can be swapped out for CBL assignments; class time can be used, or time outside of class can be substituted depending on the activity. Both the Center for Social Concern and the Center for Educational Resources can assist faculty with course planning. Ahmed Ibrahim, Senior Education Research Consultant in the Center for Educational Resources, has been analyzing data on CBL courses taught at JHU from 2015 to 2017. He shared that students indicated that the best aspect of CBL courses is the personal interaction. Students asked for negative aspects made comments when the course was not well-structured. Mike Reese, Director of the Center for Educational Resources asked Stocks and Malech what the best thing about CBL has been for them. Stocks answered that she enjoys creating CBL partnerships and wants to further engage faculty in a CBL learning community. For Malech, it has been the publishing and presenting as an educational expert outside her field of poetry. In terms of the learning process, she has come to think differently about course content. While originally she was focused on social justice and lived experience for the high school students, they challenged her to allow them to be creative writers. She’s appreciated the chance to be more open about her own assumptions of what the community partner wants and needs. 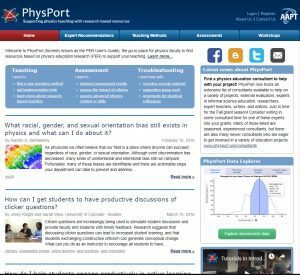 While tracking down some resources for active learning this past week, I stumbled on PhysPort, and wished I’d know about this site much sooner. PhysPort, formerly the Physics Education Research (PER) User’s Guide, supports “…physics faculty in implementing research-based teaching practices in their classrooms, by providing expert recommendations about teaching methods, assessment, and results from physics education research (PER). Work in PER has made enormous advances in developing a variety of tools that dramatically improve student learning of physics. Our goal is to synthesize and translate the results of this research so you can use it in your classroom today.” The thing is, many of the resources here will be valuable to faculty in any discipline and will help improve student learning in any course. Certainly, some of the materials and examples are physics-specific; others may be more useful for STEM faculty generally. Yet, there is plenty here that will be appreciated by anyone looking for pedagogical resources, even Humanities faculty. The best thing is the emphasis on research-based strategies. I liked the clean, clear structure of the site. There are five tabs at the top each page for easy navigation to the Home page, Expert Recommendations, Teaching Methods, Assessments, and Workshops. On the Home page there are three areas for general help—Teaching (I want to…), Assessment (I want to…), and Troubleshooting (I need help with…). Clicking on a topic of interest will take you to a page with relevant materials and resources. Expert Recommendations are essentially articles/blog posts written by PhysPort staff and guest authors to help instructors. I’ve listed some articles of general interest further down. Teaching Methods will take you to a form where you can enter information more specific to your course. You can enter subject from a drop down list (including “any subject” to keep results more generic), level, setting, student skills you’d like to develop, the amount of instructor effort required. You can choose the level of research validation, and exclude resources, such as computers for students or tables for group work, that may not be available to you. Below the form is the list of 57 Research-Based Methods that you can browse through if the form doesn’t provide you with relevant choices. Again, some of these are physics-specific, but others, like Just-in-Time-Teaching are broadly applicable. 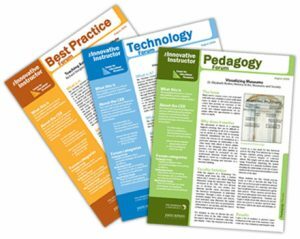 Each of the methods has tabs for Overview, Resources, Teaching Materials, and Research. The Assessments tab allows you to explore “…where you can get instant analysis of your students’ scores on research-based assessment instruments, comparisons to national averages and students like yours, recommendations for improving your teaching, and reports for tenure and promotion files, teaching portfolios, and departmental accreditation.” It is also set up with a form at the top. You can scroll down to see a list of 92 Research-Based Assessments. Most of these are physics-based. But scroll to the bottom of the page for a few interactive teaching protocols that may be more generally appropriate. The Workshops tab features video tutorials. Again, there is a mix of physics-specific and non-specific materials. Back to my original quest for resources on active learning. Under Expert Recommendations tab of particular interest are a series of posts by Stephanie Chasteen, University of Colorado Boulder (June 20, 2017) on implementing active learning strategies in your classroom. These are applicable to any subject matter, not just physics or even STEM courses. Each topic covered has a section on further reading with a list of references, a general reading list, and suggested keywords for searching in the literature. How do I help students engage productively in active learning classrooms? How can I set clear expectations in active learning classes, so students see the value of engaging? How can I help students become more expert learners, so they engage in active learning? How can I help students feel intrinsically and extrinsically motivated to engage in active learning? How can I create community in an active classroom, so that students feel encouraged to engage? How can I assess the level of student engagement in my class? How can I set the stage for student engagement in an active learning classroom, from the first day? What can I do if students don’t speak up in discussions with peers, or with the whole class? What if I get low student evaluations, or hear complaints about active learning? PhysPort is a rich resource for all faculty. Spend a little time digging around. You should come up with some great material. Ten years ago, Hogan, now STEM-Teaching Associate Professor and Assistant Dean of Instructional Innovation at the University of North Carolina at Chapel Hill, was presented with data on students’ grades in her introductory level biology class and grasped the impact that inequities in K-12 education have. “About one in 14 white students earned a D or F in the course. About one in seven Latino/a students received those grades. For black students, it was one in three.” She was directly contributing to the leaky STEM pipeline—students who failed her course were unlikely to continue in a STEM field. Faculty may recognize the racial gaps in education that first year college students bring to the classroom. They may see these as “inevitable inequities” revealing problems that are too vast for them, as instructors, to overcome. Hogan saw it differently. The gap was her problem and she became convinced that traditional undergraduate teaching—lectures, reading assignments, high-stakes assessments—was making it worse. Specifically, students whose high schools had not prepared them for college-level work were failing, not because they weren’t capable of doing that work, “…but because no one has taught them how to navigate the system.” That includes knowing how to take notes in lectures and on reading assignments, how to prepare for writing papers and taking tests, and how (and where) to ask for help when needed. Hogan flipped her course so that students spend class time doing active learning exercises rather than listing to her lecture. She was explicit about her motives and how students would benefit. “She emphasized the habits of a successful student and focused on the importance of practice. She broke down the things students could do before, during, and after class to give themselves the best chances of performing well. Then she made those tasks mandatory, and a factor in students’ grades.” The article details some of the practices. Her course syllabus illustrates how she communicates these to her students. Even in a class with a 300 plus enrollment, held in an auditorium designed for lecturing, Hogan has students working in assigned groups on projects. She moves around the room to oversee their work. Students use smart phones as classroom polling devices to answer questions, opening an opportunity for discussion. Hogan facilitates class discussions in ways to equalize participation. Changing demographics mean that many students arrive at colleges and universities lacking high school preparation that used to be taken for granted. We can’t afford to shrug off responsibility for ensuring that all of our students can succeed. As Hogan points out, the impact on our society going forward is too great. 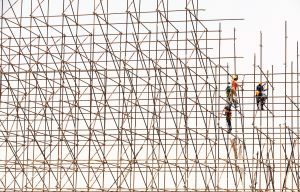 Rather, instructors must consider how to level the field and provide guidance and scaffolding to support their students in successful learning. Today it seems that everyone is tweeting, from politicians to celebrities to regular folks. And yes, even academics are tweeting. For high profile users, Twitter allows users to quickly get out a message to followers, whether political or public relations. For academics, it can be a great way to share conference takeaways, timely articles, or, in the case of Johns Hopkins University Professor of History, Martha S. Jones, to stimulate class discussion. A recent article in the JHU Hub, History Class Meets the Digital Age, details Jones’ practice. Just as they might do in class, these students are participating in a discussion, albeit one they can contribute to while in their pajamas lounging at home as easily as in the quiet space of the library or while sitting on the quad enjoying the fall weather. And the audience is not limited to the instructor and classmates; Jones invites her 8,000 plus Twitter followers to join in as well. These additional voices enrich the students’ learning experience as they become teachers themselves byclarifying or providing nuance to their responses when questioned by others on the chat. In some cases, the followers contribute additional expertise to the conversation. Jones appreciates the give and take with a larger community as well the view that students get into her roles as a professional/scholar/researcher—something that undergraduates may not always see or have access to in their relationships with faculty. If you are interested in using Twitter in your class, read the full article to get more detail. In addition, two previous Innovative Instructor posts have looked at using Twitter in the classroom and will provide additional resources: Using Twitter in Your Course (December 10, 2014) and Tweeting the Iliad (November 22, 2016). Faculty have asked about whether students might have reservations about setting up a Twitter account. If tweeting will be a requirement for your course, it would be wise to make that clear in the course description and again on the first day of class. Student response to tweeting in Jones’ course and to the courses described in the previous blog posts on Twitter have been overwhelmingly positive. The Innovative Instructor welcomes comments on your pedagogical experiences with Twitter specifically or social media more generally. On Thursday, October 25, the Center for Educational Resources (CER) hosted the first Lunch and Learn for the 2018-2019 academic year. Marian Feldman, Professor and Chair of History of Art, Professor of Near Eastern Studies; and Joanne Selinski, Associate Teaching Professor and Director of Undergraduate Studies, Computer Science; presented on Alternatives to the Traditional Textbook. Marian Feldman started with a presentation on the Open Educational Resource (OER) she created several years ago for her courses on ancient Mesopotamian art [see slides]. She commented that Mesopotamian art may seem esoteric; not many people are readily familiar with the subject matter. Mesopotamian culture began in the 10th millennium BCE, centered in (but at times extending well beyond) what is now Iraq, and flourished in the Bronze and Iron Ages with the Sumerian, Akkadian, Babylonian, Assyrian, Neo-Assyrian, and Neo-Babylonian empires from the 3rd millennium to the 6th century BCE. “Open Educational Resources are free and openly licensed educational materials that can be used for teaching, learning, research, and other purposes.” (creativecommons.org) Feldman’s motivation for creating OER for her course stemmed in large part from the fact that there was no good textbook available. The only text, The Art and Architecture of the Ancient Orient (Frankfort) was published in 1954, and though new editions were released up until 1996, the material was not updated. In 2017, a new text, Art of Mesopotamia (Bahrani), was published, but at $90 a copy, Feldman plans to stick with the OER she developed as a free alternative for her students that is also more directly relevant to the materials she covers. The OER has other value as well. When Mesopotamian art is introduced in a standard survey of art course, a $90 textbook is overkill, while the modularity of her OER works perfectly for an introductory approach. Feldman was also interested in highlighting these works of art in a time when many cultural heritage sites and objects in the region have been destroyed or are under threat. The OER as an open resource puts information in the public domain where it is easily accessible. Feldman applied for and won Technology Fellowship Grants (2015 and 2016) from the Center for Educational Resources (CER) that allowed her to work with two graduate students in Near Eastern Studies, Megan Lewis and Avary Taylor, to undertake the project. The CER advised her on a platform for sharing the modules—OpenStax CNX at Rice University. 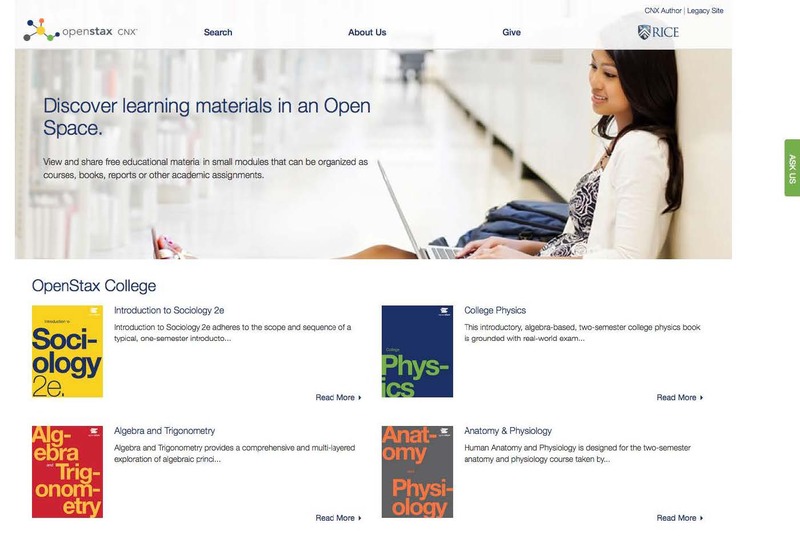 From the website: “OpenStax publishes high-quality, peer-reviewed, openly licensed textbooks that are absolutely free online and low cost in print.” OpenStax CNX was a good fit because Feldman was not particularly technology oriented, and it offered a relatively easy-to-use platform. She also liked the “knowledge chunks” concept where content modules can be aggregated into a custom “text” for students. The platform uses a Creative Commons license and content is freely accessible to all. Feldman and her graduate students created 15 modules over two years. Each module is stand alone, and many incorporate videos. The modules can be downloaded as a PDF—which students found useful for study purposes—although multimedia content such as videos is not viewable in the PDF. She noted that because the platform is open, she cannot track use by individual students to be sure that they are viewing the modules. However, end-of-course surveys of the students indicated that they had found the OER modules to be valuable course content. She received positive feedback from colleagues as well. The one complaint from students was that at times the platform was slow, particularly when playing multimedia clips and downloading materials. There were challenges with creating the OER modules. Feldman acknowledged that it was a lot of work. All multimedia content—images, videos, interactive materials—had to be in the public domain or permission had to be obtained from the rights holders. There were some technological challenges with the platform. Feldman described it as “clunky” at times. The built in HTML editor was easy to use, but limiting for formatting purposes. She had hoped that having the students use the modules might allow her to do less in-class lecturing, but that was not the case. Feldman has run some analytics on the modules, using Google Analytics, and discovered that beyond her own use (and that of her students), the modules have been viewed by others, but perhaps not as much as she might have hoped. Over a 12-month period excluding JHU use, the various modules were viewed between 6 and 150 times. There was a big spread on the IP access—viewers came to the site from around the world. The relatively small numbers of viewers for her modules on OpenStax CNX are in contrast to a TED-Ed Animation project she worked on during the same time period, targeted at the K-12 constituency. The Rise and Fall of the Assyrian Empire has received over a million views! Joanne Selinski introduced the audience to zyBooks, billed as an affordable, interactive, online textbook platform for STEM disciplines. Selinski is piloting the use of a zyBook for the Gateway Computing course she is teaching, although she had previously used a limited version of zyBooks in teaching a Java course. 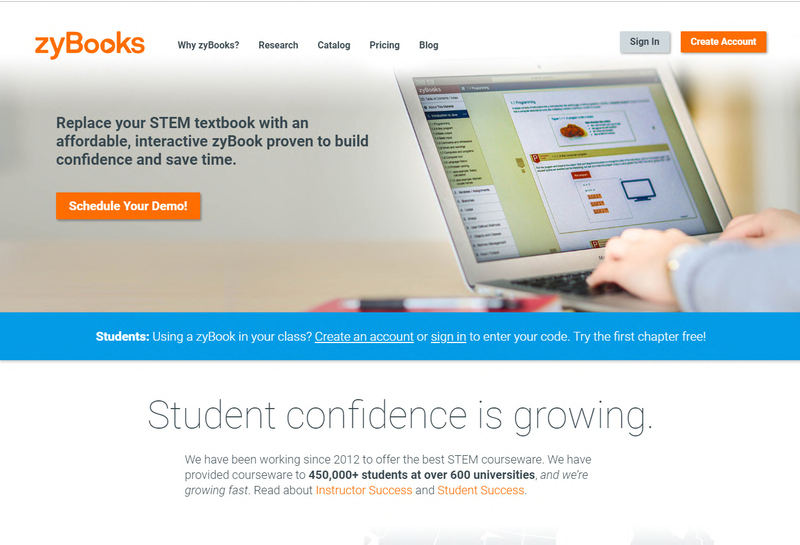 While zyBooks is not free, it is relatively low-cost, about $50 per student depending on instructor customizations. Selenski noted that she had the opposite problem from Feldman—her field, computer science, is constantly changing and advancing so that texts become outdated quickly and must be updated frequently. Print texts simply can’t keep up with the changing curriculum. Moreover, courses are not standardized across departments and institutions, so a standardized text may not be flexible enough for adaptation to a particular curriculum. And, every instructor teaches standard courses differently, so there really is no such thing as a one-size-fits-all textbook. Thus the discipline has seen a move from print books to courseware on interactive platforms. In Selinski’s experience, students didn’t read textbooks and she would have to repeat the information in class. Homework assignments applied the work done in class. Using zyBooks allowed her to flip her class model, with students learning concepts outside of class and doing applied work in class individually or in groups. She had wanted to flip her class previously, but didn’t want to use only videos for outside-of-class instruction. While she does use some videos as a supplement, zyBooks provided a great overall solution. Selinski gave a demonstration of the customized zyBook that she developed for her Gateway Computing course. The modules are a mix of various types of demonstrations and exercises interspersed with fill-in-the-blank, true-false, and multiple choice questions. She finds that the quizzing while doing method is beneficial to student learning. There are challenge activities for students looking for more advanced work, but they are not required as in-class group work covers the challenge material. Everything is auto-graded. Selinski can choose which assignments will be graded. The biggest benefit is that students get introduced to the core material before they come to class. Selinski noted that the company worked closely with her (and other JHU faculty in the pilot) to develop their texts from a menu of pre-created modules. She liked that zyBooks offers lots of options for customization. The interface is easy to use. She can add notes on the modules for specific instructions or to make comments. More advanced students can take advantage of extra materials. She was able to add a student who enrolled in the class late and change the deadlines/due dates for that individual. And, she can see who has done what in terms of the on-line work. Overall, zyBooks has great reporting features. Her one caveat was that students won’t do work unless it is required. Because this is the first semester of use, she does not yet have data on student response to the platform, however informal comments suggest that students like it overall. She responded to student complaints that too much was required in the early part of the semester and reduced required material to some extent. She will like be more selective when using zyBooks next semester. A lively discussion followed the presentations. 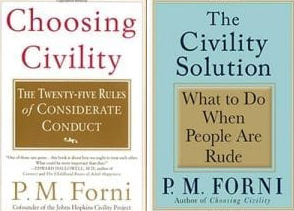 There was a question about whether material from these alternative texts could be integrated into Blackboard, JHU’s course management system. In both cases, the answer is no, that these are separate platforms. 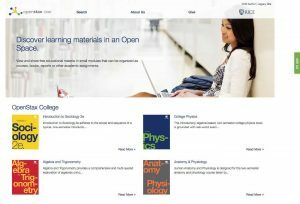 Links to material can be provided in Blackboard, but the content resides on the platform—OpenStax or zyBooks. Selinski was asked to elaborate on what students do during class time. Classes are small sections of 19 or fewer students, and she has a teaching assistant, so she can have them working individually or in small groups and oversee them all. Generally, there is an in-class assignment, activity, or problem to be solved that reflects the material covered in zyBooks. Sometimes students are working on paper, others times on their laptops, other times on the board. For some activities she may do a brief lecture for background before the students start working. There were questions about the zyBooks platform, course development, and subscription model, and the availability of materials for students on both platforms after a course has ended. Selinski elaborated that zyBooks offers general texts that are updated frequently and can be customized by each instructor for their use. A course can be saved and copied for use in a subsequent semester. There is no sharing across institutions—another institution cannot readily see a JHU instance of a course. Students subscriptions are for the duration of the semester; after which they cannot access the course. They are able to download PDFs of content during the semester they are enrolled. Feldman noted that OpenStax CNX is by nature open and free accessible to anyone at any time. Finally, Mike Reese, Associate Dean of University Libraries, Director of the CER, and lecturer in Sociology, offered another alternative to the textbook that is free to students. In the courses he teaches he is committed to students not having to pay for textbooks. Instead he assigns materials such as e-books and research articles that are available to students through the library. This Lunch and Learn session demonstrated that there is more than one way to lower the cost of textbook materials for your students.